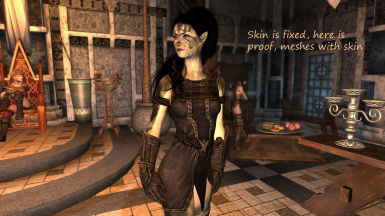 fixed skin issue, now skin is standalone you can swap it for another at any time it is not dependant on the default. when installing, delete previous version then install this one, do not overwrite it as it may cause bad face issue. 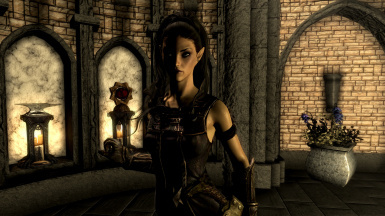 This is Yeshin a Highelf follower, she is a Thalmor Wizard. She can be found in Solitude in the Blue Palace. 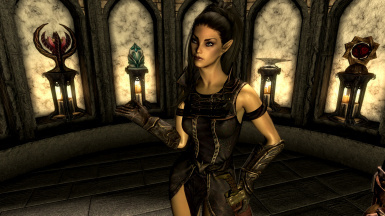 Yeshin is a halfbreed, mother was imperial and father highelf, when she was a child the imperials would make fun of her, her mother then sent her to live with her father, she came to Skyrim in search of adventure and to understand the Nords mind. 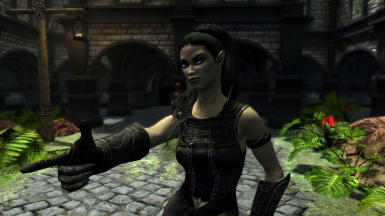 Justmeagain Please make her a standalone follower PLEASE she is so very beautiful and as a follower is only way she would be in my game Thanks you will do a manual download just to endorse because you did such a wonderful job with her. premiumff7legend to the above request. I'd download in a heartbeat. Thanks. premiumAstra2000 I agree, too. Great work and as a follower it will be a dream!!! - Hope you or everyone will do it!? premiumbigd4450 Yep, a stand alone would be nice... I mean Ditto.